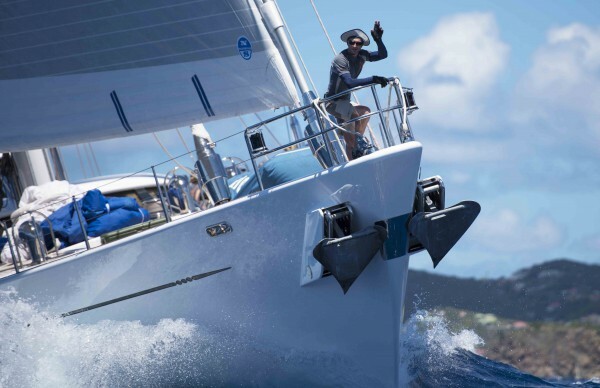 After a great first day of racing, Day Two at the St Barths Bucket 2016 had a lot to live up to - but a solid 16 knots of breeze and perfect blue skies greeted the fleet of sailing superyachts as racing resumed. 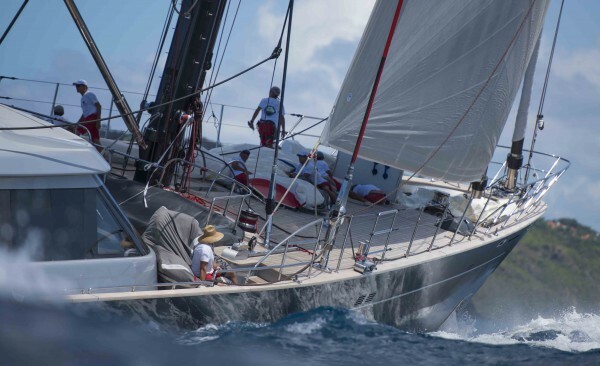 The race committee sent the yachts on a Not So Wiggly course out to the outlying islets to the northeast and north of the main island, where a split breeze presented some interesting challenges for the onboard tacticians. 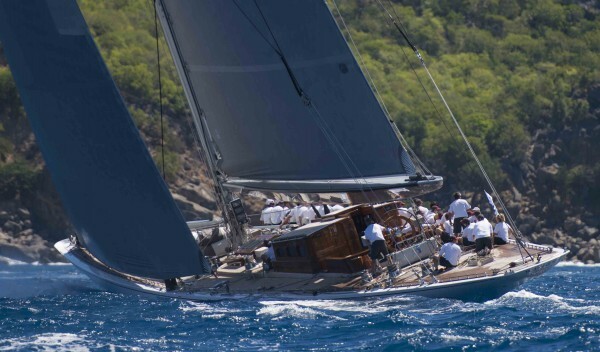 In the J Class fleet, Ranger (below) and Velsheda enjoyed a tight battle that included a tacking duel out to the easternmost point of the course, but it was Ranger who came through to claim a second win in the class. 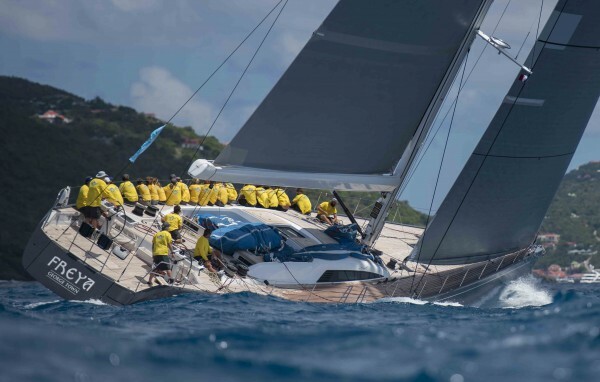 However, with an even number of races in the series and with Velsheda finishing second today the result will hinge on a winner-takes-all final match on the last day of racing tomorrow. 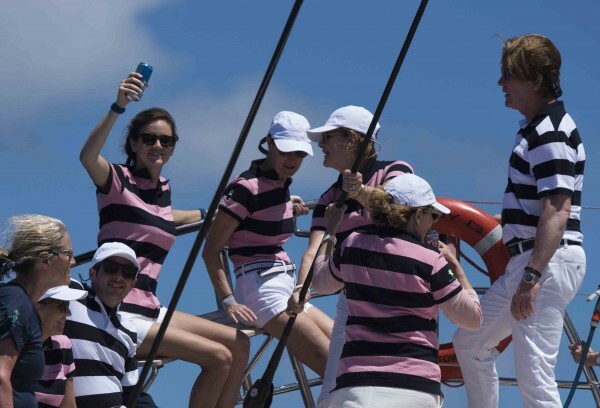 With the weather and the winds obliging to create perfect conditions, the rest of the fleet enjoyed another classic day on the water with hard-fought battles in each of the five classes. In the more performance orientated Classes A and B, the Batlic Nilaya and Perini P2 came through to claim the top step of the podium, while Class C went to Axia. Class D was won for the second day in a row by the Swan Freya (below), while the Perini Rosehearty - which this regatta counts Paul Cayard and Peter Holmberg in its afterguard - notched up the victory in class E. Today's results mean that going into the final day of racing tomorrow, four of the six Classes remain wide open, making Sunday's final race - which will be a clockwise round-the-island course - critical for much of the fleet, and exciting for those following the racing. "It doesn't get much nicer than this," smiled Brad Read, tactician on Seahawk (below) at the end of Day Two's race. "Every once in a while you've got to poke your head up from racing and look around and see you're sailing in one of the prettiest places on the planet. Seahawk likes big breeze and today was better - we had 16 knots in a couple of spots that really allowed us to sail to our rating. There was a big split breeze - more south of east on the south side of the island, and almost east on the north side of the island. The close racing between Perseus and Seahawk - two sisterships - was pretty phenomenal. Yesterday we finished overlapped just five seconds apart, and today there was less than a minute between us." All photographs by Tim Thomas - The Superyacht Group.